The California Walnut Commission has the opportunity to continue its efforts to expand export market development with the USDA’s Market Access Program (MAP) and Agricultural Trade Promotion Program (ATP). Through a competitive grant process, the CWC was awarded $4.1 million in MAP funds on February 6, 2019. The US Department of Agriculture’s (USDA) Foreign Agricultural Service (FAS) partners with U.S. agricultural trade associations, cooperatives, state regional trade groups and small businesses to share the costs (by matching dollars) of overseas marketing and promotional activities that help build commercial export markets for U.S. agricultural products and commodities. This is on the heels of the January 31, 2019 announcement awarding the CWC $1.6 million in additional funding through the Agriculture Trade Promotion Program (ATP) to conduct activities that would augment and expand current export promotion activities. Administered by USDA’s FAS, the ATP is one of three USDA programs within the Trump Administration’s trade mitigation package announced last year, created to provide relief to farmers suffering from the effects of recent trade retaliation against U.S. farmers and exporters. With the industry facing challenges in some key markets due to tariff actions over the past year, additional resources like ATP funds are critical to bolster and expand export markets. 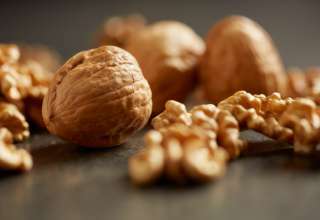 As part of the trade mitigation package, the USDA will purchase $34.6 million in walnuts through the Food Purchase and Distribution Program which will remove volume from the market and shore up wholesale prices. 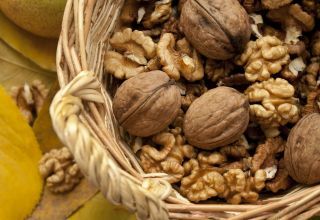 California walnut growers have a long history of recognizing the value of export market development. 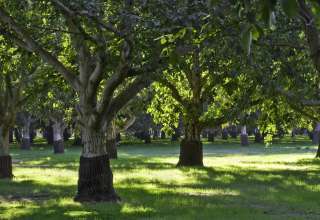 The California walnut industry has grown in the past decade with production nearly doubling since 2007. MAP and ATP funds allow the Commission to develop and execute integrated marketing programs to increase awareness of walnuts grown in California, drive retail purchase, and educate food manufacturers, chefs and other key decision makers on how to incorporate California walnuts into their product and menu offerings.